Back in September of last year, we stumbled across a new line of salt and additives from Fluval. 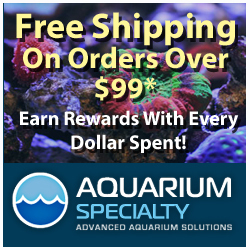 Up to that point, Fluval had been primarily geared toward freshwater aquaria with their popular line of canister filters and associated media, but these new SEA products were a great jumping off point for their entry into the saltwater realm. 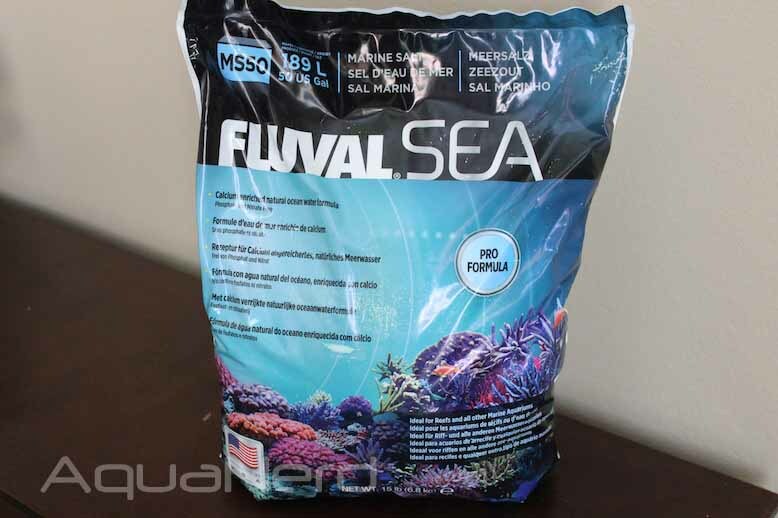 Intrigued by what Fluval had to offer, we got our hands on a bag of their salt mix to see how it stacked up to the several other brands we’ve tried throughout the years. The Fluval salt comes in three different sizes, a 10-gallon, 50-gallon, and 165-gallon mix. The two smaller sizes come in thick plastic bags, while the largest is packaged in a small bucket. We were given our bag of salt from the guys at Super Pet World, and despite having the choice to pick any size we wanted, we stuck with a 50-gallon mix so that we could get at least a couple of water changes out of it. To start our review, we focus squarely on the bag that the salt comes in. Since the mix is capable of making up to 50-gallons of saltwater, we were a little disappointed to not see a resealable bag. 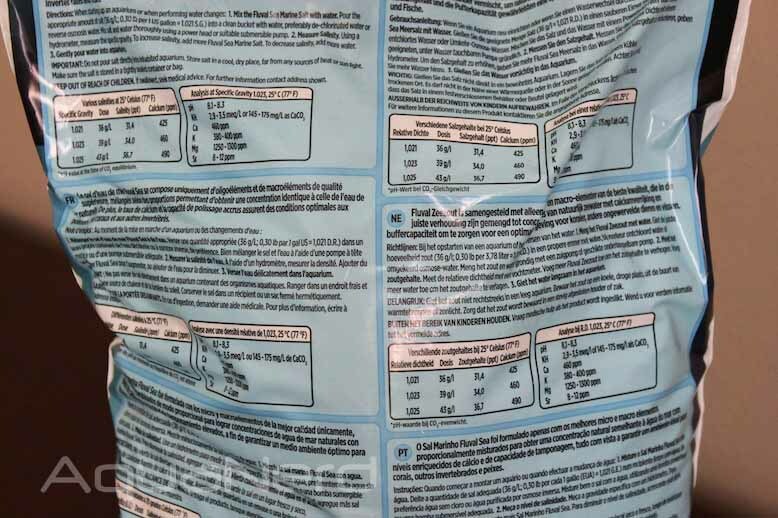 We realize that most bags of salt do not come as resealable packages, but it’s something we’d surely like to have seen since not too many hobbyists perform 50-gallon water changes. The problem with an open bag of salt is that it will take up moisture from the air, causing the loose salt mix to solidify. The salt won’t be chemically altered, but it sure becomes a pain to break up into smaller chunks if it turns into a solid block. Moving on, we started prepping for our first water change with the Fluval SEA salt by filling a 35-gallon container with RO/DI water. We mixed the salt as usual, taking note of how long it took for the salt to dissolve and monitoring the cloudiness of the water. The salt seemed to dissolve at a moderate pace, and the resulting water was cloudy only for a short time. The resulting mixture was clean and left no residue in the container that we could readily notice. We are currently testing the new salt mix for the various water parameters that are promised on the package, but so far the mix is doing an acceptable job in its first water change on our system. The water is clear and the livestock seem to respond just as they do during water changes with other salt. Our alkalinity tests match up with those of the Fluval guaranteed analysis, but we haven’t had much chance to test the others. We plan on doing additional testing, and we will have a follow up after the aquarium has run a few days with this new salt mix.